Poona College initiated its noble journey way back in the year 1970 when the Anjuman Khairul Islam Trust of Mumbai felt the need for educational endeavors especially for the underprivileged and the educationally deprived. Thereafter over the years, it has gradually gained momentum, phenomenal enough to recognize itself as an established seat of learning. The College is affiliated to University of Pune, recognized by the University Grants Commission under Section 2(f) and 12[B] and was conferred by a prestigious 'A' Grade on being accredited by the National Accreditation and Assessment Council (NAAC), Bangalore. 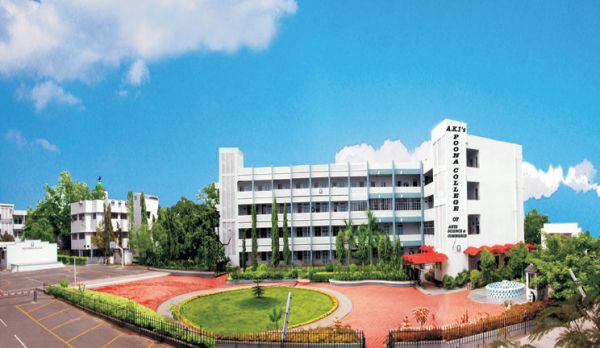 The College is a recognized Research centre of the University of Pune for M.Phil and Ph.D in the faculties of Commerce, Chemistry and Economics with full-fledged degree courses and Post Graduate Centres in Computer Science, Electronics, Organic Chemistry, English, Economics, Urdu and Commerce. Apart from this, it also offers professional courses of B.B.A, B.C.A, B.Sc. (Computer Science) and M.Sc. (Computer Science). Gradually it has expanded on a national as well as global scale with student enrolment exceeding 6000 every year, and has become a favoured destination for education seekers from all Indian States particularly the North-East and from over 50 countries abroad. The College prides itself by possessing a rare distinction of having a highly qualified, dedicated and enthusiastic staff with doctorates constituting a half while a quarter as M.Phil qualified. In addition to conventional teaching, more stress is laid on imbibing moral and ethical characters, career planning and guidance, sports and co-curricular activities such as NCC, NSS and Sports.